James T. Gladen III | Fafinski Mark & Johnson, P.A. 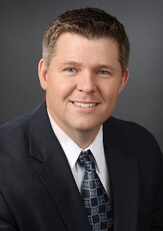 James T. Gladen III joined the FMJ team in 2007. He concentrates his practice in the areas of commercial aviation transactions, including aircraft finance and leasing, cross-border transactions, and general corporate and business law. Prior to joining FMJ, James worked as a law clerk, while attending law school, and subsequently as an associate attorney for a boutique aviation law firm in Miami, Florida. James has represented airlines, charter operators, FBOs, aircraft and engine lessors and lessees, and lenders, among many others, located throughout the world on a wide-ranging variety of transactions. James prides himself on making himself available to his clients whenever or wherever needed and his “worldly” experience is an asset every client can appreciate. He was recently named to the “Who’s Who Legal: Transport 2017” list for Aviation Finance. Growing up in Montana and Wyoming, James is an avid outdoorsman with particular passions for elk hunting and fly-fishing. When not in the office, the odds are that James is doing one or the other. James, his wife Allison, and their son Jimmy live in Victoria, Minnesota, a small SW Minneapolis suburb. James just recently got a chocolate lab named Drake and is looking forward to some upland game and waterfowl hunting in the near future.